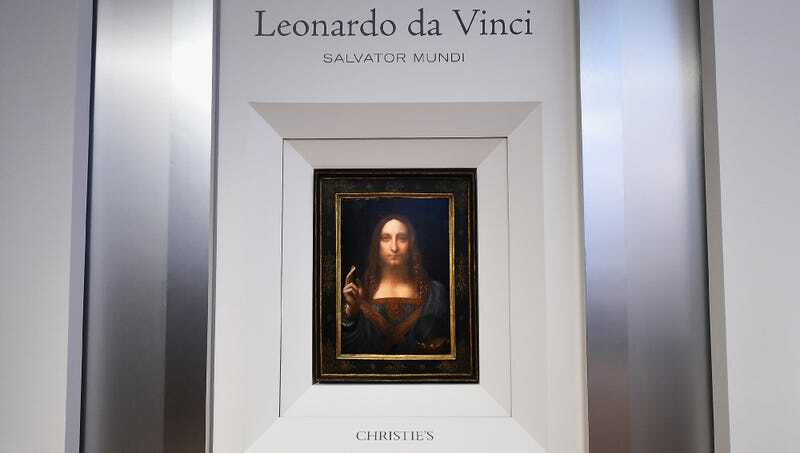 NEW YORK—Saying auctioneers at Christie’s had not been totally forthright, the undisclosed buyer of $450 million Da Vinci painting Salvator Mundi told reporters Thursday that the purchase was made under the assumption that the work would come with its frame. “I just kind of figured when I shelled out close to half a billion dollars for the Old Master’s painting that the frame would be included,” said the anonymous buyer, admitting that the gold-stenciled frame that displayed the Renaissance painting at least partially accounted for the record-breaking bid. “When I decided to purchase the painting, it seemed obvious that I’d be getting the complete package. But after the auction, they just handed me this painted wood panel with nothing around it. What a ripoff.” At press time, the buyer was perusing Target for a frame with the right dimensions to fit the 500-year-old work.